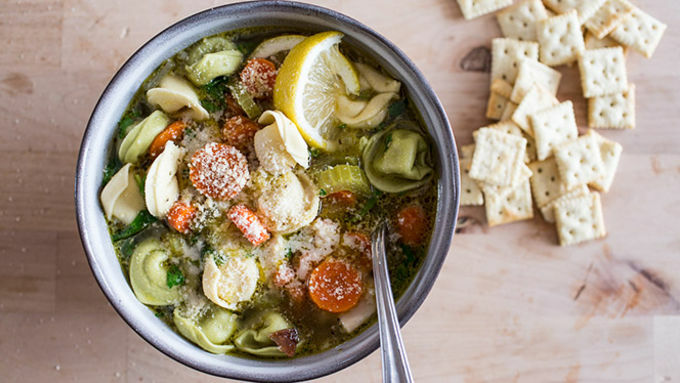 Easy ingredients go into to making this deliciously cozy meal of slow-cooker chicken cheese tortellini soup. Instead of tortellini, feel free to substitute ravioli or your favorite cut of pasta. Say cheese! It makes all the difference in this easy homemade soup. This is classic chicken noodle soup... only way more exciting with the addition of cheesy tortellini!! Don’t get me wrong, I love the classic chicken noodle soup, but sometimes the noodle part leaves me just a little blah. I'm one of those people who full-on believes that the addition of a little butter, a little cheese (or maybe even a little of both) never hurt anybody. It’s good flavor. 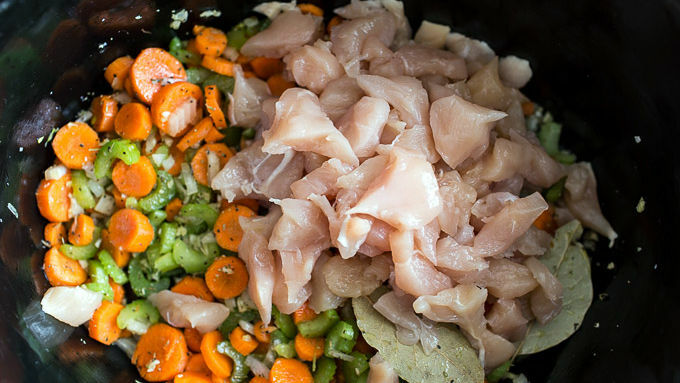 So this got me thinking about how I could jazz up classic chicken noodle soup, but still keep it simple, quick and family friendly. I've been on a tortellini kick lately, so my thoughts went in that direction. It sounded pretty delicious in my head, so I was really excited to try this recipe out. It turned out awesome – all the flavors of chicken noodle soup, but with the addition of cheesy stuffed pasta. So yummy! 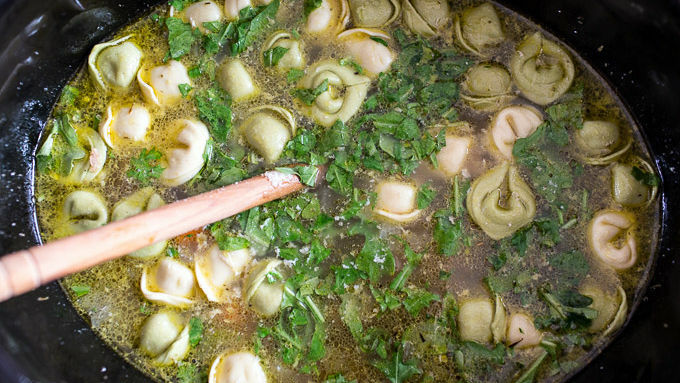 And what's even better is that this soup is so easy to change up. To make a vegetarian soup, omit the chicken and use dried lentils or beans instead. You can also substitute vegetable broth for the chicken broth. Instead of tortellini, feel free to substitute ravioli or your favorite cut of pasta. 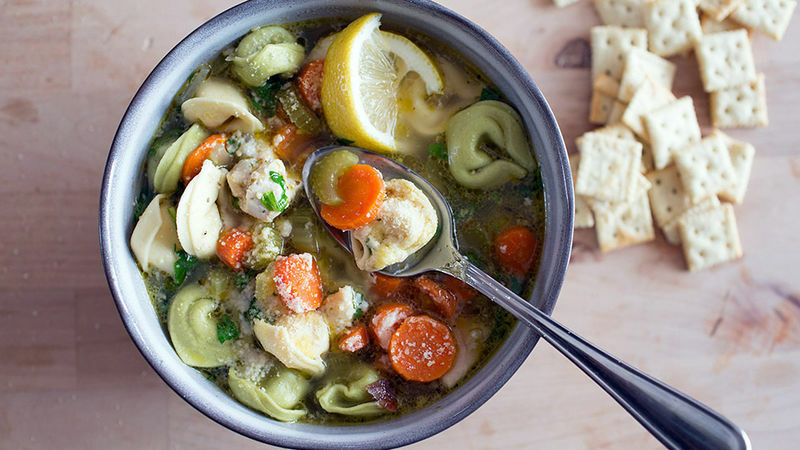 The perfect cold weather soup. Serve with crackers and enjoy a nice, warm cozy meal!